This version uses coconut "noodles" instead of tofu. Tofu is very high in estrogen, and usually has GMO's unless you buy organic. Whereas coconuts are full of potassium and electrolytes. They are considered a superfood. They are good for your skin, your teeth, full of antioxidants, and they speed up the thyroid. Coconuts allow our body to drop excess weight, help the absorption of fatty acids, and they are the closest thing to our blood plasma and mothers milk. So overall, a no brainer substitution. Extra bonus: this recipe can be made in a flash when you need a quick meal! 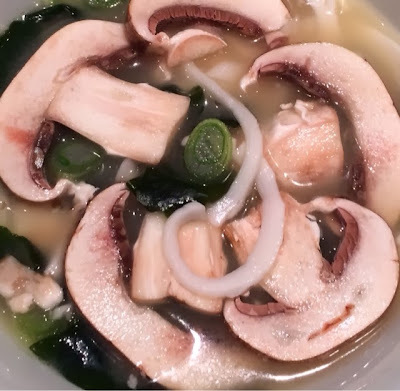 Using hot water will still consider the recipe to be raw food as the ingredients are actually not cooking on the stove, but rather being warmed up by the broth, leaving the nutrients intact. In a blender, mix the water, the tamari, the ginger, and the miso together. In the meantime, crack open the thai coconut with a cleaver knife. can drink it or freeze it for later use. 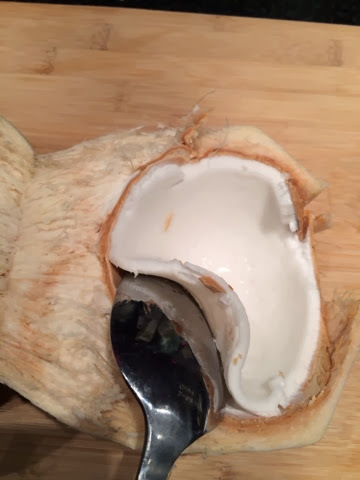 Using a spoon, remove the coconut meat carefully so that you have one big piece. 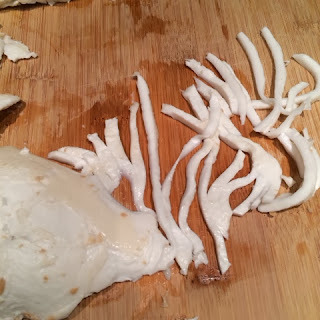 Cut the coconut meat into fine slivers to resemble noodles. You want to make sure that they are very thin. 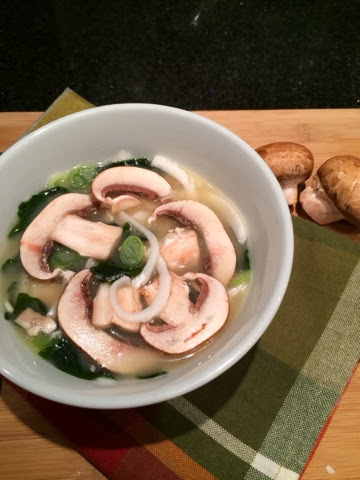 Pour the miso broth in a bowl and add all the remaining ingredients.